Reduces bags under the eyes: Special ingredients that help prevent puffiness under the eyes. 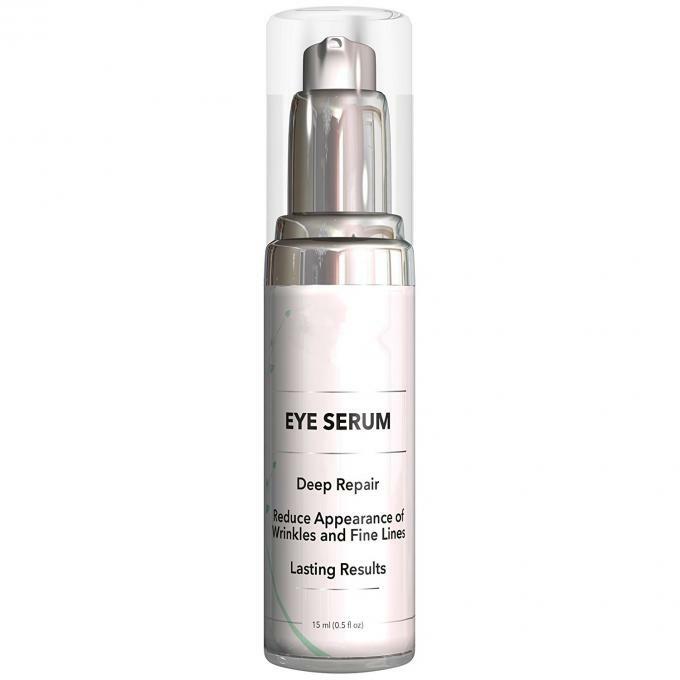 Lessens under eye dark circles: Contains ingredients that reinforce firmness and tone of the eye area and reduce inflammation. Pump benefits vs jar: Serums and creams in pumps are higher quality than the ones in jars. Products in jars are more likely to get contaminated and go bad faster because fingers have to be placed into the jar to get the product during daily use. Reduces the appearance of wrinkles: Deep repair: Peptide messenger notably involved in the process of cutaneous repair and vitamin a (retinol). 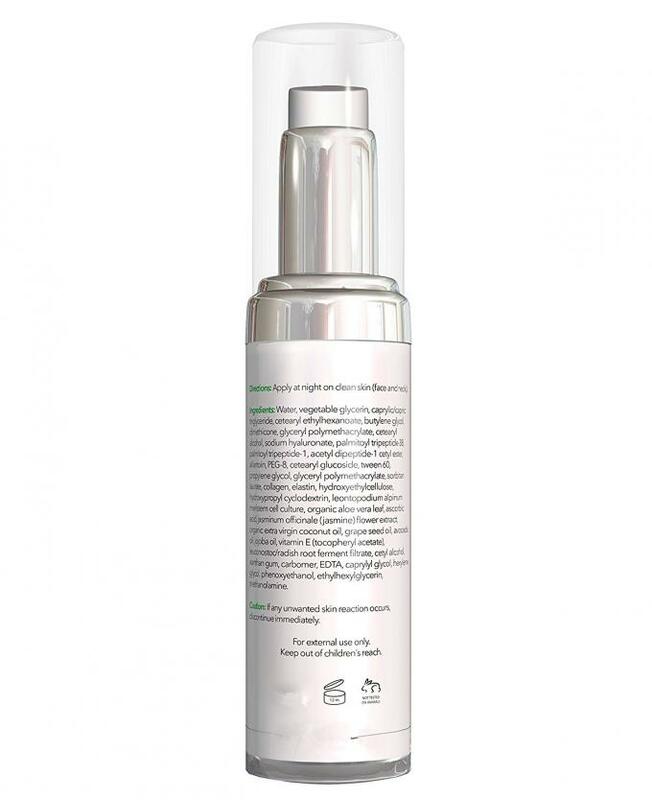 Strong moisturizer: Contains hyaluronic acid, dimethicone, allantoin. With skin proteins: Collagen and elastin. Vitamin C, Hyaluronic Acid, Retinol, Collagen, Peptides (for repair and collagen production), Vitamin E (antioxidant), Elastin (skin protein), Dimethicone (moisturizer), Allantoin (moisturizer), Stem Cells Culture (wrinkle filler), Algae and plant extracts (anti-inflammatory), caffeine (anti-inflammatory), whey protein (nourishing). Use this product on a clean skin. 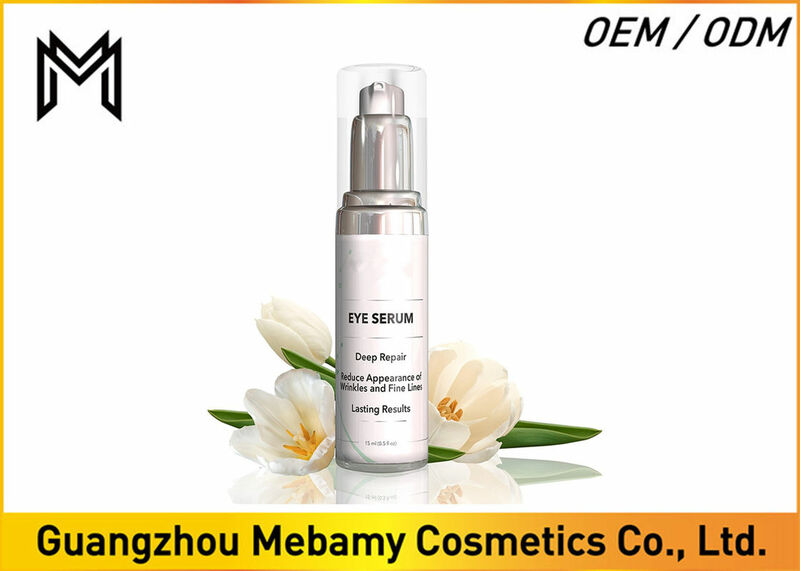 Apply the serum around the eyes area once or twice daily preferably at night. Recommended for use on all skin types. Use daily on deep lines around your eyes area as part of your skin improvement routine.